Night has fallen in Malang, East Java’s second-largest city, and we’ve joined a small crowd of hungry customers at Puthu Lanang, a portable stall at the covered entrance to a street just wide enough for motorbikes. A five-person assembly line is churning out traditional sweets at lightning speed, led by the mustachioed vendor who takes orders, gives change, heaps the morsels on banana leaf before dousing them in palm sugar syrup, and wraps it all while we look on in amazement. This four-day jaunt to Malang is Bama’s idea – chiefly because the city and its surroundings harbor a trove of ancient Hindu-Buddhist temples. But there’s another good reason to come. 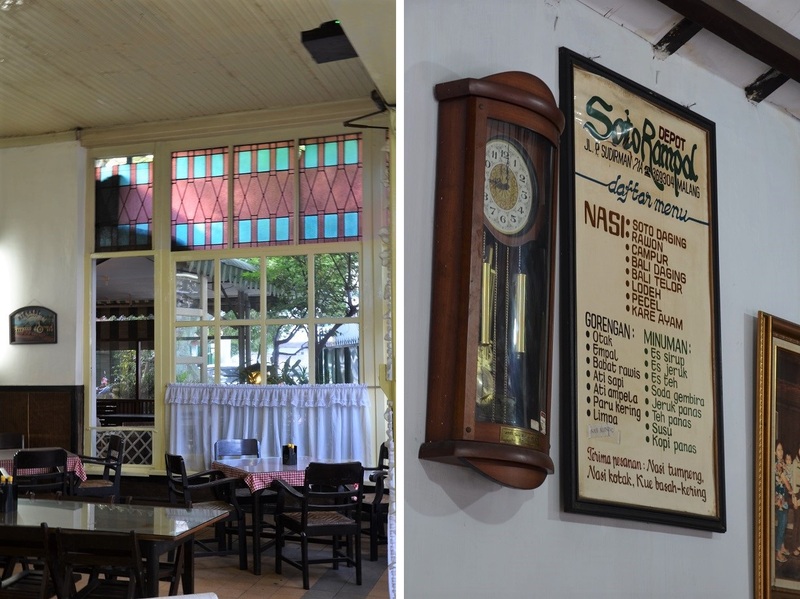 Among Indonesians, Malang has garnered a reputation as something of a culinary hotspot. This is down to an auspicious blend of mouth-watering Javanese cuisine, the presence of a large Chinese-Indonesian community, and Malang’s location in a fertile, well-watered valley flanked by no less than four active volcanoes – with a somewhat higher elevation (476 meters) that brings cooler temperatures ideal for cultivating fruit and vegetables. Our first food-themed pit stop is Toko Oen, a decades-old institution just up the street from the leafy central square known as Alun-Alun Malang. 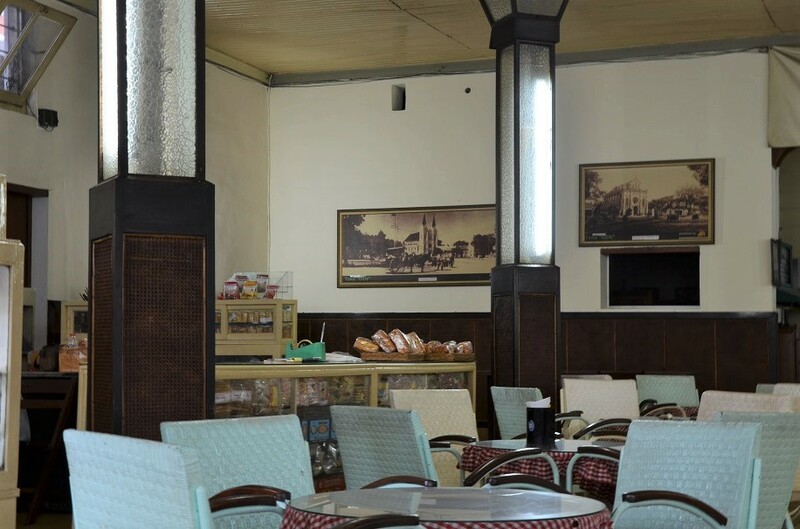 The airy wood-and-plaster interior hung with sepia-toned photographs feels as though it has barely changed since the restaurant and bakery opened in 1930. Bama and I recline on low rattan chairs for a delicious late afternoon meal served in reverse: thick cuts of beef tongue steak doused in rich gravy are preceded by a banana split and tutti frutti ice cream, made with an old-fashioned technique that gives it an extra iciness. Bama and I walk off the calories in and around the Alun-Alun as the call to prayer resounds from the main mosque that stands shoulder-to-shoulder with an old Protestant church. Dinner awaits at Depot Gang Djangkrik, a no-nonsense chain restaurant known for its extensive selection of a Chinese-influenced Malang specialty, cwie mie. This involves a heavenly bowl of spongy noodles steeped in flavor, while the texture alone is a perfect balance of softness and bite. 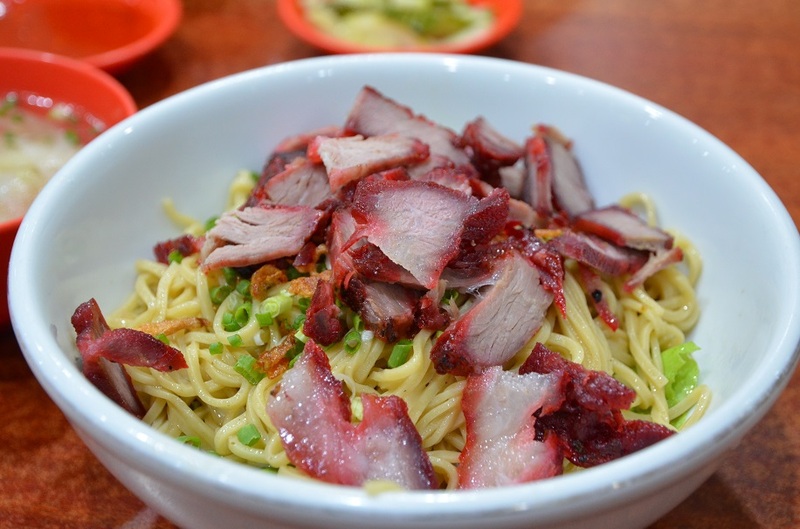 Bama orders his cwie mie with diced chicken and mushroom; mine has a topping of char siu (Cantonese-style barbecued pork), which proves just as tender and indulgent as the kind I grew up eating in Hong Kong. 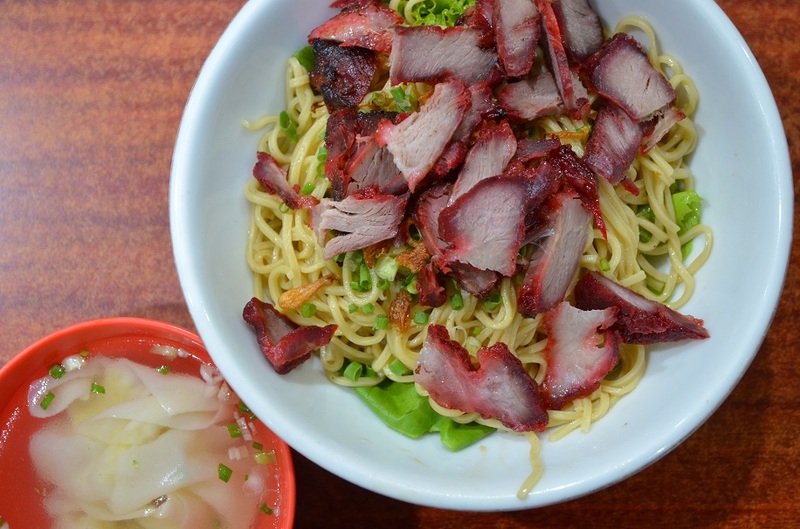 Djangkrik’s noodles are so divine we return the very next day for a second helping. 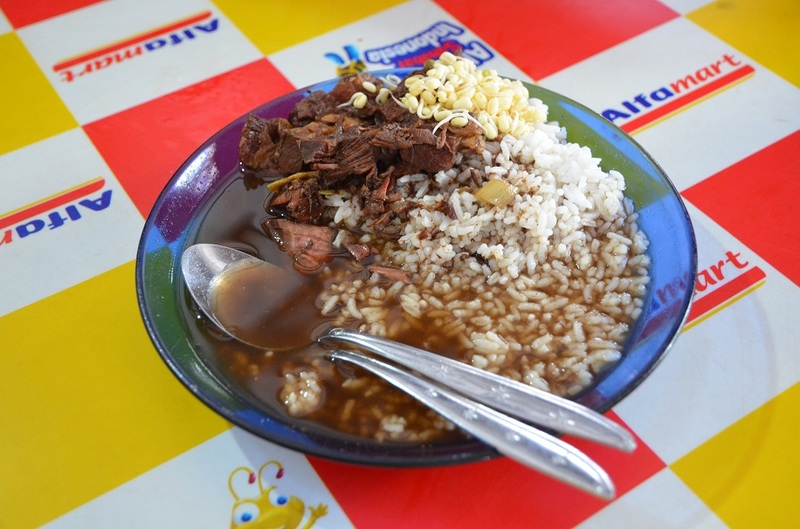 On the recommendation of our local driver, Pak Bakir, we stop by a humble, timber-built canteen called Depot Soto Rampal for some rawon – an East Javanese beef stew that gets its near-black color and distinctive taste from the fermented keluak nut. But the dish lacks both flavor and depth (Bama’s mother, Auntie Dhani, makes a much better version); adding sambal and sweet soy sauce does not make much of a difference. Luckily the disappointing experience is countered by the excellent and generously portioned oxtail rawon at Hotel Tugu, whose Melati restaurant is a veritable museum of Chinese artifacts and Javanese curios. Of course, not all of Pak Bakir’s recommendations end up missing the mark. His suggestion of lunch at a simple Javanese eatery by the roadside on the way back from Candi Jawi – a temple roughly an hour and a half outside Malang – was a winner. Up a flight of stairs from the parking lot, we find a display case loaded with trays of hearty comfort food. I pick sliced rings of squid cooked in ink and a delicately spiced sauce, a side of boiled beansprouts, and a toothsome corn fritter (perkedel jagung), all served on a bed of rice with a generous dollop of fiery tomato sambal. I’m so focused on diving in that I completely forget to take a photo. The food looks absolutely amazing! Sounds like a fun adventure! I’ve had cwie mie several times before, but the one we had is by far the best I’ve ever tasted — I would be surprised if one day I find an even tastier cwie mie. When I was a kid, a putu vendor often came to our neighborhood at night, carrying a modest steamer and other tools with a shoulder pole. 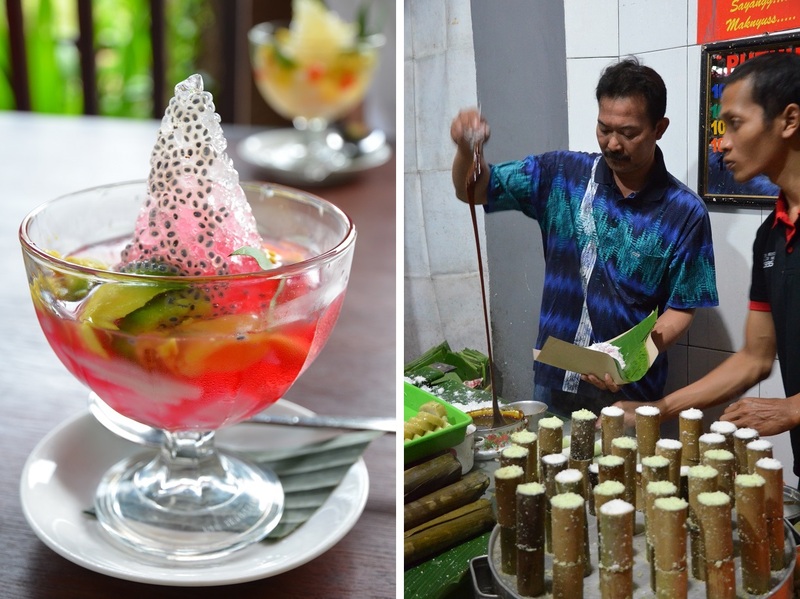 To see how putu is made after more than 20 years really was a treat. A big shout-out to Debby and Monica for recommending us Puthu Lanang! Bama – I was tempted to order a second bowl of cwie mie when we went back… it’s a shame the menu didn’t have dishes in size XL. I also adored the putu. There’s nothing like having it freshly made and still hot to touch! This post makes me miss Asia! Especially the putu! I guess you’ll just have to plan a future trip to Indonesia! Sounds like a great long weekend. And yes, that char siew looks good! Lovely. I guess the Mahameru is because of that mountain of ice. Absolutely – the name also recalls a nearby volcano (Semeru), Java’s highest peak whose own creation myth involves the Hindu gods transporting Mahameru from India! 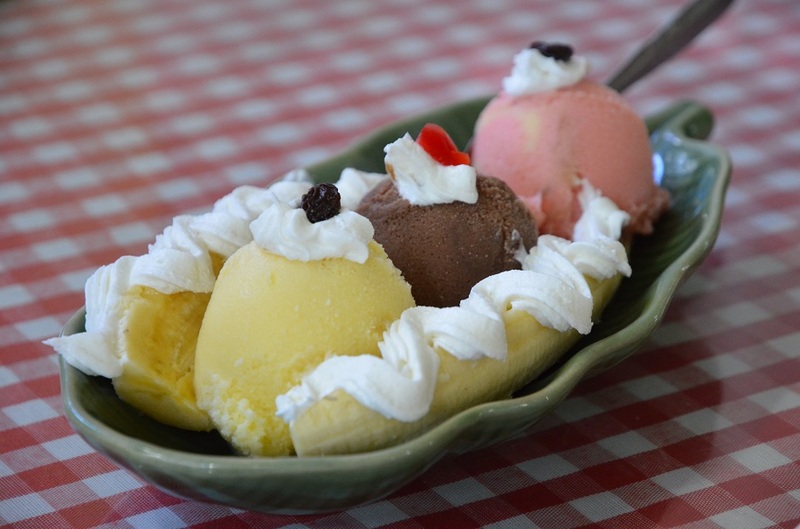 Sometimes the greatest and fastest way to learn a culture is through the food ~ great post James! Much appreciated, Randall – and yes there’s no doubt about that! Carissa is right, Puthu sounds very much like the puttu of Kerala. The coconut is sprinkled on top there as well, but it isn’t always sweet, usually eaten with chick pea curry. 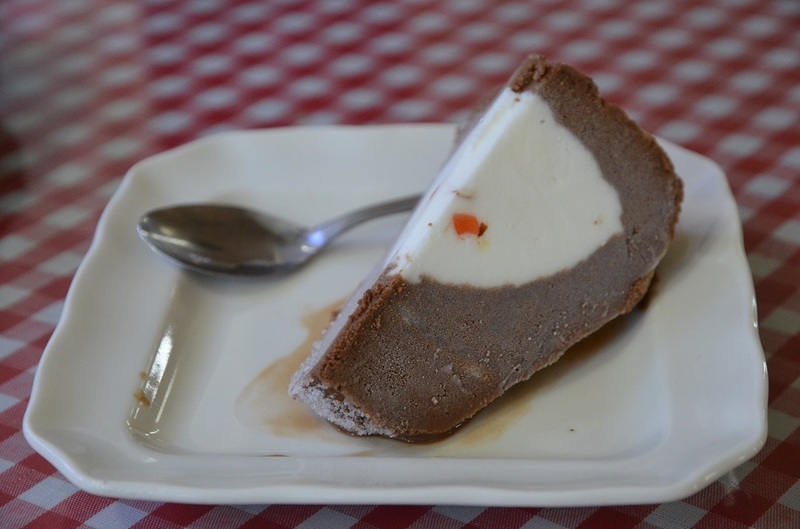 Actually I would love to try Keralan puttu after having its Javanese counterpart. It’s a shame Bama and I missed out on it when we were in Kochi and Kumarakom two years ago!